Heat Theatre’s mandate is simple: Produce plays that are “too hot to handle”. 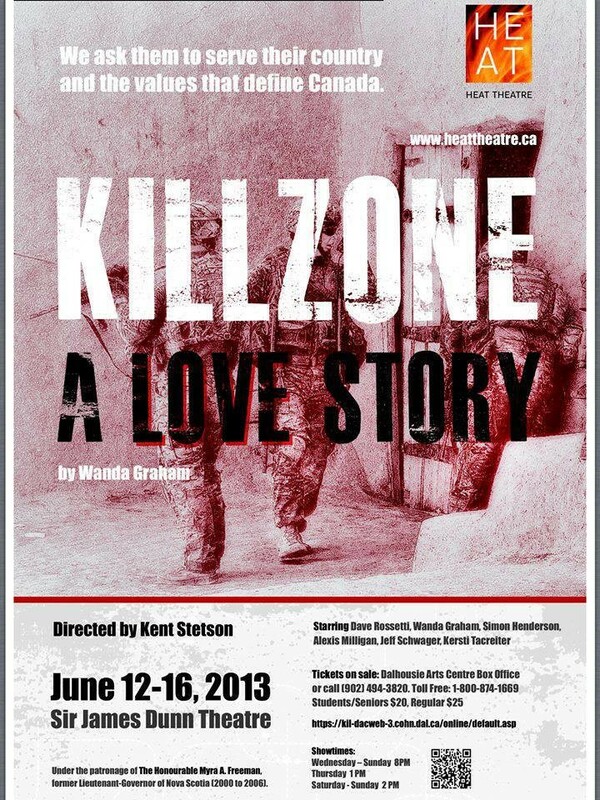 And there’s no doubt that Killzone: A Love Story falls within this mandate. It’s a provocative, disturbing and altogether harrowing journey into the mind of a soldier severely damaged by war and shunned by society. Although the conflict is never specifically named (perhaps so that it can better represent the broader issue of Post Traumatic Stress Disorder), it follows the story of the 1993 Somalia affair very closely. The play itself is a puzzle of sorts. Truth and fiction are muddled together in the mind of soldier Ray Warden (Dave Rossetti). Characters are not who, or even what they seem. Answers change. Motivations are murky. For the most part, confusion is a natural and necessary part of telling this story, but there are parts of the script (the ending and Ray’s relationship with the mysterious woman/child Boyd for example) that deserve tightening up and clarification. You will not rest easy after seeing this play. You will leave with obscene images of violence in your brain. You’ll be bursting with questions about the cost of war and Canada’s place as a peacekeeping nation.